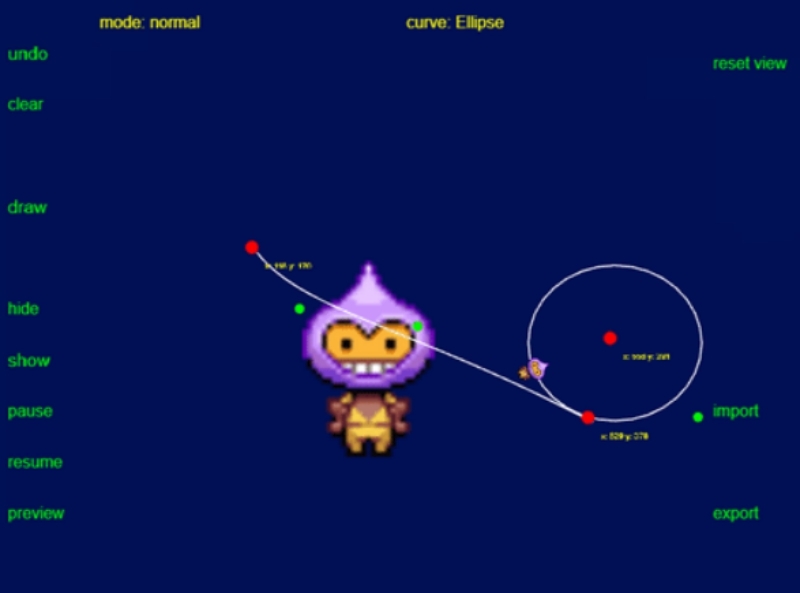 The Phaser 3 Path Builder is a handy tool for drawing paths that objects can follow. You can edit and create lines, bezier curves, or ellipses. Then, you can export JSON Data and load on Phaser to create awesome animations on your game. An advantage of using this tool is that you can view the scenery while creating the paths, ensuring that your workflows are smoother. The interface is easy to use and comes with buttons for managing the animation processes. Check this page to learn more about the path building tool.